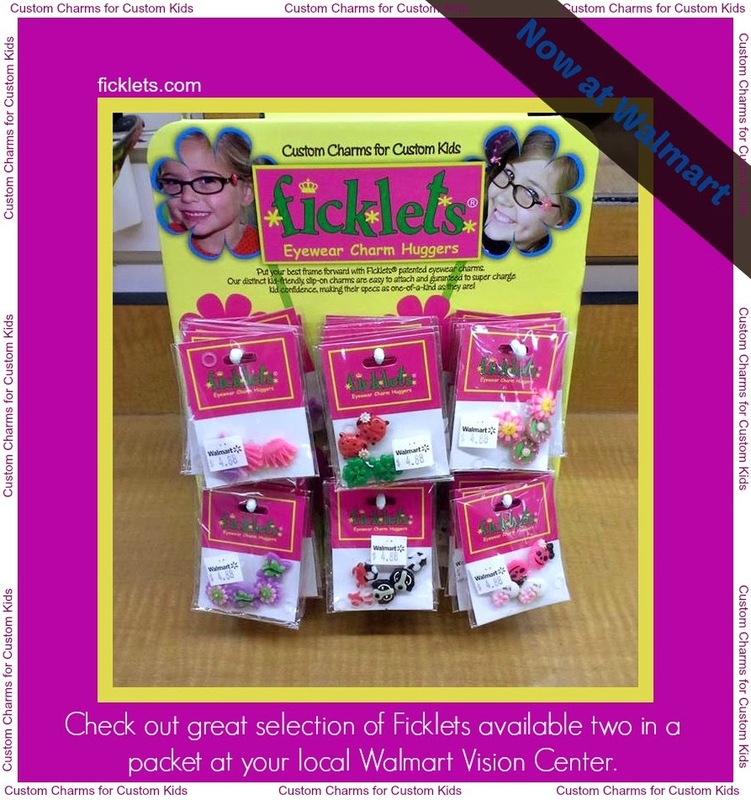 Ficklets, a patented interchangeable eyewear charm huggers for children's glasses, are now available in Walmart Vision Centers. The goal of the campaign is to raise awareness about Ficklets available in each market's Walmart Vision Center. The motto is "Custom Charms for Custom Kids." To be eligible, you must reside in one of the cities listed below, have an active blog, Facebook and Twitter account with a good following. Five applicants will be selected and payment of $200 will be paid upon completion of all links submitted. The job will consists of one blog post, 12 Tweets and four Facebook posts. The campaign will hopefully start January 15th and will run for four weeks. Oh I wish I was eligible for this! I would so do it :) Oh well maybe someday!